Another one? Yep, your mind is not deceiving you; another 990 deadline is on the horizon. If you are affiliated with a nonprofit organization that operates on a fiscal tax year that runs from May 1 to April 30, you must complete a tax return online by the annual September 15 deadline to maintain tax-exempt status. If this deadline caught you off guard there’s no need to worry; we will teach you how to file non profit tax returns by the 990 deadline. What is the IRS Form 990 Series? The appropriate form that your organization should file will be dependent upon the number of gross receipts that it accumulates throughout its accounting period (tax year). 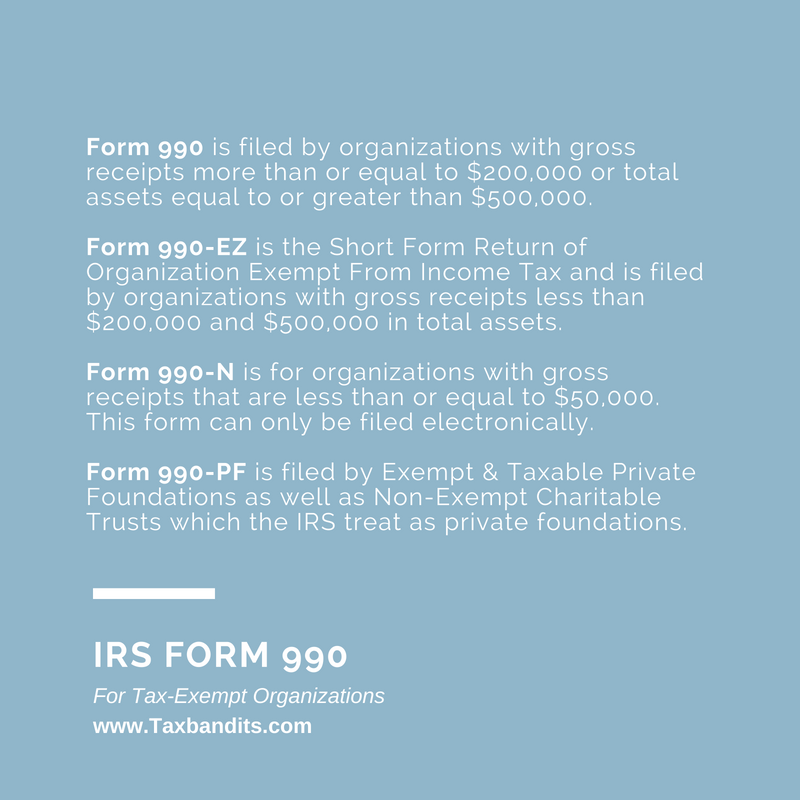 For more information on the IRS Form 990 Series, determine which tax exempt form your organization should e-file, click here. Need more time file your non profit tax returns? No problem! Luckily, with September 15th being on a Saturday this year, you have until Monday, September 17th to file. However, there is an easy form that can be completed quickly which will grant you an additional 6 months to file your tax-exempt Form 990 with the IRS. 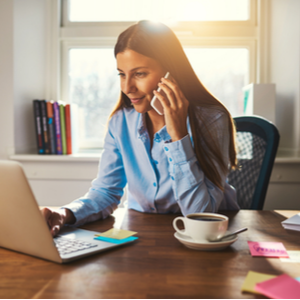 Nonprofit groups, charities, and other exempt organizations use Extension Form 8868 to ensure they don’t miss the September 15th 990 deadline. Note: Although this form provides 6 extra months to file and helps you avoid IRS penalties, you must file IRS Form 8868 by the 990 deadline for it to be accepted. Filing non profit tax returns are simple when you use a trusted IRS-authorized e-file provider like TaxBandits. We offer a simplified e-filing process for Form 990 series returns so you can easily file the correct IRS Form 990 and get back to making a difference in the communities you serve.